There are essentially two theories of solutions that can be considered exact: the McMillan–Mayer theory and Fluctuation Solution Theory (FST). The first is mostly limited to solutes at low concentrations, while FST has no such issue. It is an exact theory that can be applied to any stable solution regardless of the number of components and their concentrations, and the types of molecules and their sizes. 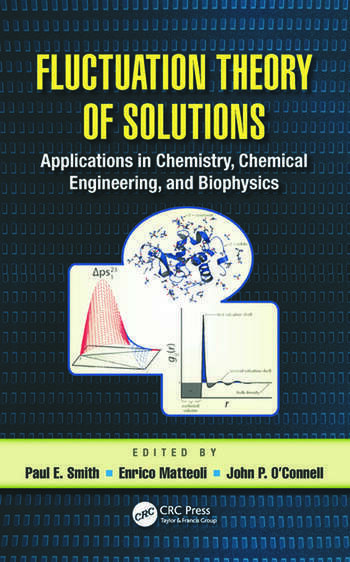 Fluctuation Theory of Solutions: Applications in Chemistry, Chemical Engineering, and Biophysics outlines the general concepts and theoretical basis of FST and provides a range of applications described by experts in chemistry, chemical engineering, and biophysics. The book, which begins with a historical perspective and an introductory chapter, includes a basic derivation for more casual readers. It is then devoted to providing new and very recent applications of FST. The first application chapters focus on simple model, binary, and ternary systems, using FST to explain their thermodynamic properties and the concept of preferential solvation. 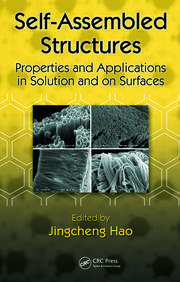 Later chapters illustrate the use of FST to develop more accurate potential functions for simulation, describe new approaches to elucidate microheterogeneities in solutions, and present an overview of solvation in new and model systems, including those under critical conditions. Expert contributors also discuss the use of FST to model solute solubility in a variety of systems. The final chapters present a series of biological applications that illustrate the use of FST to study cosolvent effects on proteins and their implications for protein folding. With the application of FST to study biological systems now well established, and given the continuing developments in computer hardware and software increasing the range of potential applications, FST provides a rigorous and useful approach for understanding a wide array of solution properties. This book outlines those approaches, and their advantages, across a range of disciplines, elucidating this robust, practical theory. 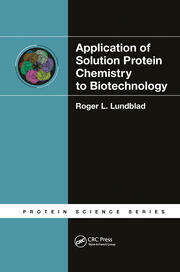 Why Is Fluctuation Solution Theory Indispensable for the Study of Biomolecules? Dr. Paul E. Smith is currently a full professor in chemistry at Kansas State University. His research interests have focused on the computer simulation of biological systems with an emphasis on preferential interactions, cosolvent effects on peptides and proteins, the design of improved force fields for simulation, and the statistical mechanics of solutions. He has published more than 100 papers in these areas. Dr. Enrico Matteoli officially retired in 2011, but continues his studies through an associate researcher position at IPCF-CNR (Institute of Chemical-Physical Processes) of Pisa. During his research activity, he has devoted his attention to the following fields: experimental and statistical thermodynamics of mixtures and dilute solutions, theories and theoretical models of mixtures, and kinetics of organic reactions. The results of his work have been published in about 100 articles in international journals, 5 chapters in books, and 120 communications to international and national conferences. Dr. John P. O’Connell is presently Harry Douglas Forsyth Professor at the University of Virginia. He has held visiting positions at Stanford University, Technical University of Denmark, Delft Technical University (NL), University of Canterbury (NZ), and Instituto Superior Tecnico (Lisbon). 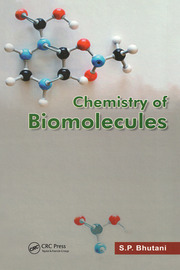 His research interests have included statistical mechanics, molecular simulation, and molecular thermodynamic modeling of chemical, electrolyte, and surfactant solutions, properties for computer-aided process design including carbon capture and thermochemical decomposition for hydrogen manufacture, adsorption and surface diffusion, chromatography for bioprocessing of proteins, and chemical engineering education. The results of his work have been published in more than 150 archival papers and book chapters, 5 coauthored books, and over 350 presentations to international conferences and academic, industrial, and governmental institutions in 25 countries.